Jeremy is the co-founder of LeadQuizzes, a quiz and survey software built for marketers to increase their leads and learn about their audience. Their users have generated over 4.7M leads and 73.9M questions answered. 1. What is the name of your business? What does your business do? 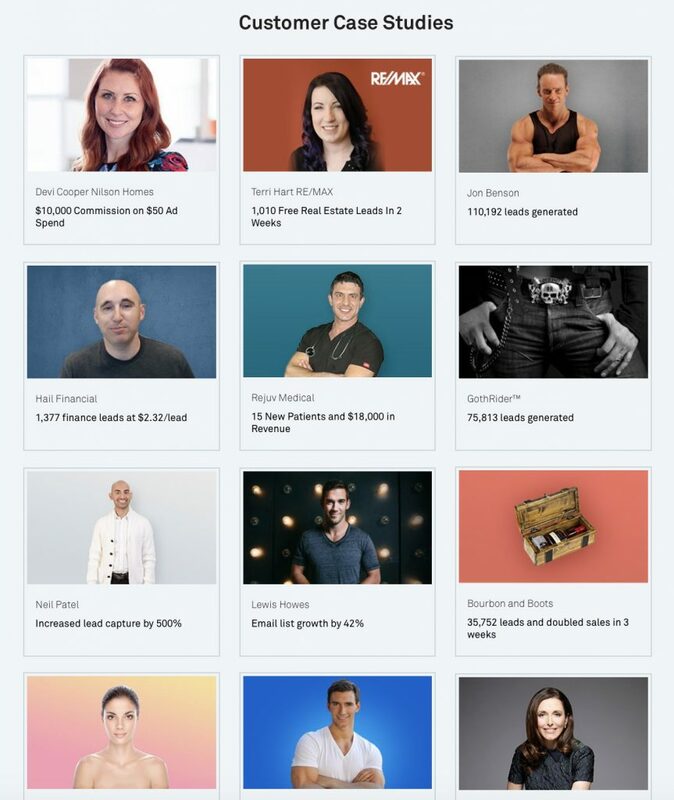 LeadQuizzes – LeadQuizzes helps businesses build quizzes and surveys to increase their leads and learn more about their audience. 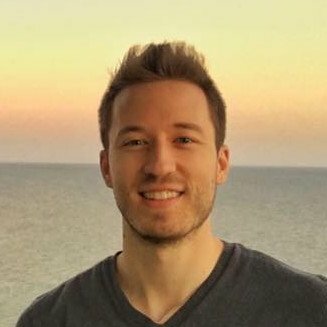 I ran a marketing agency for a few years until we got to a point where it wasn’t scaling like we wanted it to. We lost three clients worth 35% of our monthly revenue and had two threating to sue us. We knew we needed to make a change so we looked back at what clients we had the most success with and the one that stood out the most was a hormone doctor we helped generate 35,000 emails for over a six month period with a quiz. We decided to start doing that for other people and eventually came out with our software, LeadQuizzes. One of the biggest challenges we’ve gone through at LeadQuizzes was making the switch from an agency to a software business. Our marketing agency business grew to $720,000 a year in revenue with 20% profits. When we switched to focusing solely on our software, our revenue and profitability dipped. While it’s harder to start a product or software based business, it’s a better business model than an agency so it was a good long-term switch. One of the best rewards of running my business has been creating a business model I truly love. Building a software we have a highly scalable business, recurring revenue without significant peaks and valleys, we have a large number of customers without a major dependency on any of them, and a website that does sales for us 24 hours a day just to name a few. These are just a few things we improved over the agency business we started with. I would have found a way to generate leads for ourselves sooner. When we first started our agency in 2012, we went years just relying on referrals and networking for our business. It wasted years of progress that could have been accomplished sooner if we learned how to market ourselves much earlier on. 6. What advice would you give to a new entrepreneur? Like the amount of force it takes to get a rocket off the ground, it will take an enormous amount of energy to start your business. However, if you pick the right business model, once you scale, it will take a fraction of the energy to maintain that revenue and the lifestyle it creates for you. For this reason, I think it’s very critical to pick the right business model from the start. Have a long-term mindset and start a business you would continue to run for 10-20 years. Think about things like how scalable of a business do you want? A service business will be easy to start but less scalable than a product, software, or performance-based business. Think about what type of lifestyle do you want. Do you want something you can work from a laptop or a business that will tie you down to an office? Etc. Spend more time thinking through what you want in the beginning so you don’t end up solving a business model that doesn’t fit your needs and desires. I’m not a huge fan of social media. Being social media is an owned asset by someone else, they control the amount of reach and engagement you get, which has become dramatically lower every year. I prefer to focus on building an email list where you own that relationship and you can segment and personalize your marketing to individuals on that list without having to pay ads every time to reach them. 8. How do you market your products or services? We market LeadQuizzes largely by growing our search traffic with content and then by building our email list using quizzes. We use our email list to drive more signups for LeadQuizzes. 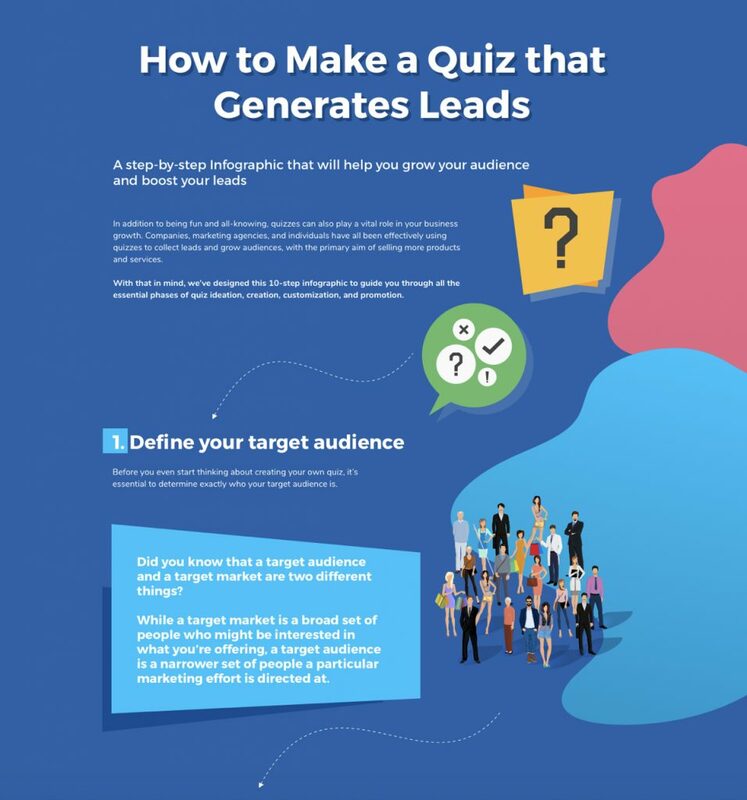 If you want to create a quiz to capture leads, you can follow this excellent guide. We choose to focus on content marketing and SEO because search is a channel that compounds on itself. While it takes longer to start seeing results, once you get the ball rolling, you can profit off of content you wrote months or years ago without continuing to pay much for that content. This strategy has resulted in dramatically lower cost per acquisitions than paid channels like Facebook. 9. If your business sells products, how do you handle production? The reason we started using quizzes is because it was a predictable way for us to generate high engagement from Facebook ads and websites, resulting in a higher rate of lead capture. 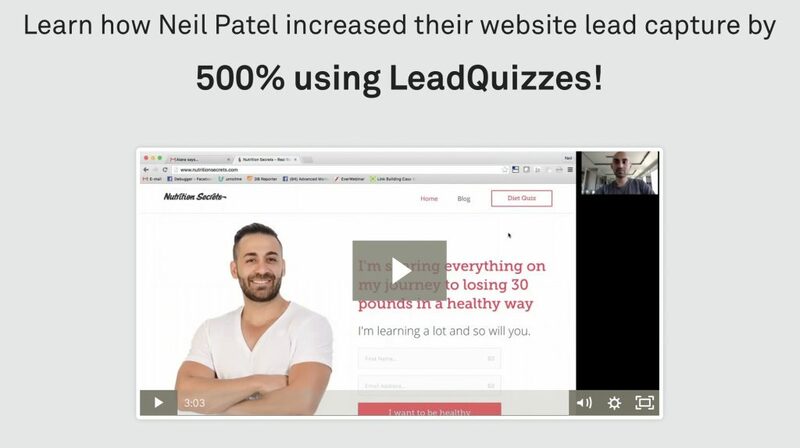 For example, Neil Patel increased his lead capture by 500% using a quiz and the hormone doctor I mentioned earlier, was able to get her lead cost down to $0.19/lead. Additionally, because we collect so much data with a quiz, it allows our users to learn more about their audience. This helps them personalize their marketing, qualify leads, and do research to improve their business. 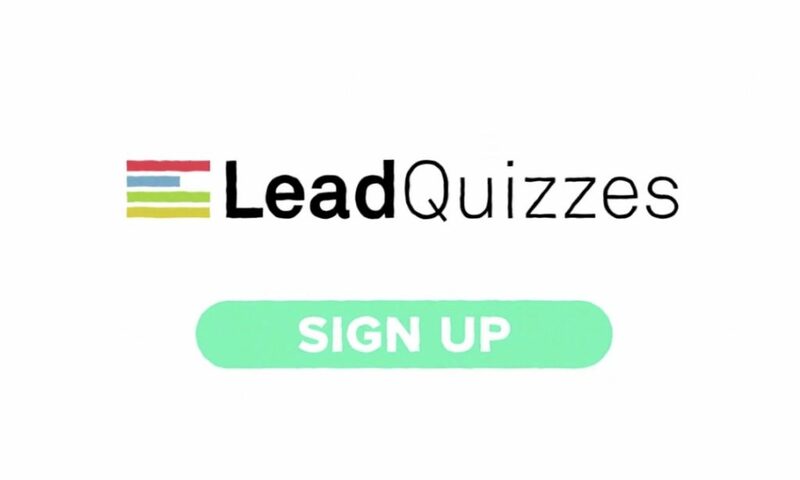 LeadQuizzes is a great way to increase your leads and learn about your audience. We’ve helped our users generate over 4.7M leads and 73.9M questions answered. Quizzes are much more engaging than typical ebooks or newsletter optins. This is why we’ve been able to increase lead capture on so many sites and help clients generate hundreds of thousands of leads from Facebook so inexpensively. Quizzes also allow you to qualify your leads, learn about who your audience is and find out what they care about. When using quizzes with our own audiences, it’s helped us to better understand who to build our product for and what type of content to create for them. 12. How can people get in touch with you? What’s your website url and contact information? Next: Next post: How the Top Companies Overcome the Gender Balance Problem in STEM?